The following recordings feature some of the works that have been commissioned by Premiere Commission. These CDs are available through Amazon, iTunes and other online retailers. 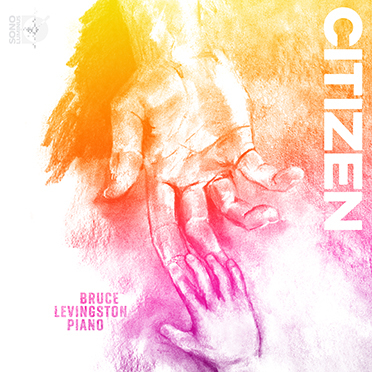 On January 25, 2019, Sono Luminus releases Citizen [DSL 92228], the label's seventh album showcasing the celebrated pianist, author, and founder of Premiere Commission, Inc., Bruce Levingston. "A force for new music" in the words of The New Yorker, and "A pianist's pianist," (American Record Guide), Levingston is a master of creative programming, and here the Mississippi native casts his eyes and ears not just on that historically complex state but on other places and times - Chopin's Poland, for example - that have inspired challenging political responses from creative artists. "In recent years," Levingston writes, "I have come to see that my beloved state only reveals more intensely what exists in other places in our world: the struggle for people to come to terms with one another's histories and differences. I chose the title 'Citizen' for this album not only because it contains works that reflect upon actual citizenship and human rights, but also to highlight that we are all citizens of one earth, and must find ways to respect one another's differences and strongly uphold each other's right to exist with dignity and freedom." 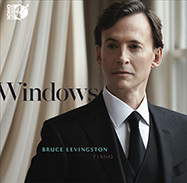 On January 26, 2018, Sono Luminus releases Windows [DSL 92137], the sixth album on the label featuring celebrated pianist, author, and founder of Premiere Commission, Inc., Bruce Levingston. 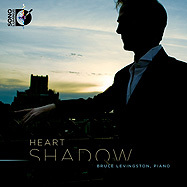 Known for his nuanced interpretations and creative programming, Levingston's focus for this recording is on works which, he writes, "reflect a myriad of overlapping artistic influences and feature composers who have been inspired by multiple art forms." 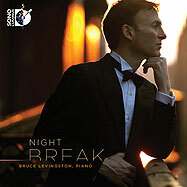 The album includes two works by Robert Schumann, Kinderszenen, Op. 15; and Arabeske, Op. 18, which are framed by two Premiere Commissions: The Shadow of the Blackbird (2011) by composer David Bruce, and James Matheson's Windows (2015), for which the album was titled. 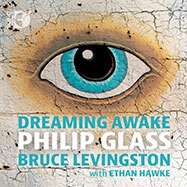 Pianist Bruce Levingston has had a long and celebrated association with Philip Glass and his music. In 2004, the composer wrote his musical tribute to the painter Chuck Close especially for Levingston who premiered the work at New York City's Lincoln Center. The following year, Glass joined Levingston in the same venue for a series of piano duos in a concert that also featured Levingston's longtime friend and Chelsea Hotel neighbor actor Ethan Hawke. At that concert, Levingston and Hawke performed Glass's "Wichita Vortex Sutra" that includes a narration of Allen Ginsberg's eponymous poem. Glass and Ginsberg had performed and recorded it themselves, but the composer enthusiastically blessed this performance by a new generation of artists. Glass, Hawke and Levingston then performed together the finale of Einstein on the Beach. Glass later invited Levingston to join him in premiering his complete Etudes at The Brooklyn Academy of Music in New York City in 2014. 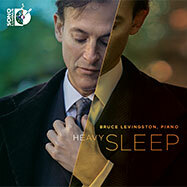 The title "Heavy Sleep" is meant to reference not only the eponymous opening work on this Album, but also to note the phrase's allusion to death and eternal sleep. Each work on this album relates either directly or spiritually to the theme of death, rebirth, or both. Voices of other composers or allusions to their own or others' works are also found throughout these pieces, often appearing as subtle homage to composers of the past: In the Andres work there are echos of both Bach and Chopin; in the Fairouz a direct tribute to Ligeti; in the Kurtag, Reger and Siloti arrangements there are reflections on Bach through the art of transcription; and in the original works of Bach himself, particularly in the great B minor Fugue, symbolic voices of God and man. Together, these works offer a touching perspective to the close spiritual connectivity we all share as artists and as human beings, culture to culture, past and present. The written word has always played an important role in the creation of works of music, from the ancient writings of Plato, Aristotle and Sophocles, to Gogol, Baudelaire and Tolstoy, through modern writers and poets such as Frost, Eliot, Joyce, and Mann. The three works presented on this album were each inspired by a work of literature. Rather than depicting actual characters, each piece presents a state of mind and soul, a distilled essence of the feelings and emotions found in the original sources. The Schumann is, of course, one of the masterpieces of the piano repertoire; it's depth and beauty endless. It's inspiration came from the Romantic work of E.T. A. Hoffman. The Bielawa and Wuorinen works, both written by two of today's most distinguished and important composers, were inspired by works of Rainer Maria Rilke and Salman Rushdie. These three works, like their creators and muses, could not be more different in compositional style and techniques. Yet, for all of their differences, outwardly as well as inwardly, they seem to share a spiritual unity. Perhaps the basic humanity that is central to each piece somehow joins them musically and artistically. In any case, their beauty, vision and eloquence speak for themselves. 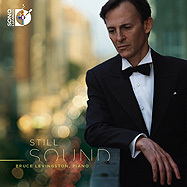 In 2006, Orange Mountain Music released Bruce Levingston's CD "Portraits" featuring the world premiere recording of Philip Glass's A Musical Portrait of Chuck Close originally commissioned by Premiere Commission, Inc. 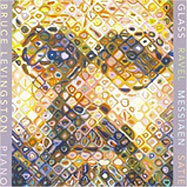 The recording, which includes Glass's musical forebears Messiaen, Ravel and Satie, received international critical acclaim.